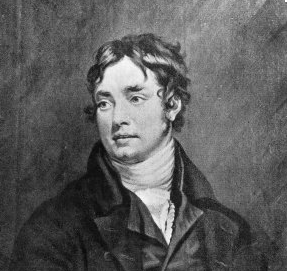 On December 22, 1812, Samuel Taylor Coleridge is also writing to Daniel Stuart. He writes about the rehearsals for his play "Remorse." Coleridge also passes along the news that Josiah Wedgewood has withdrawn his share of his annuity representing an annual sum of £75. Wedgewood had suffered business losses so was not able to continue to pay the annuity that he had paid Coleridge since 1798. This loss was felt particularly by Coleridge's wife who had received the money from Coleridge in order to maintain their household in Keswick. Coleridge's letter asks Stuart if the receipt of the Courier is on the same "terms" as in the past, presumably meaning the newspaper was sent gratis. One can detect in the letter Coleridge trying to feel out Stuart to see if he will be able to assist him. The letter also shows that Coleridge is now putting all his efforts into his play. My dear Stuart, - This is my lecture day or I would immediately peruse the Work enclosed to me and write or call on Mr. Owen. Excepting Tuesday, any day convenient to yourself and Mr. Owen, Mr. Morgan and myself will be happy to dine with you, only be so good as to let me know it a day or two before. You have heard that my Play is in rehearsal. I find the alterations and alterations rather a tedious business ; and I am sure, could compose a new Act more easily and in shorter time, than add a single speech of ten lines. The Managers are more sanguine far than I am; and the actors and actresses, with the exception of Miss Smith, are pleased and gratified with their parts. And truly Miss Smith's* part is not appropriate to her talents in kind at least. I am labouring with much vexation and little success to make it better. She was offered a part that would have suited her admirably, but, I know not from what motives, she refused it. Will Wednesday next week be agreeable to you? You remember that for many years a Courier has been sent to Keswick as a compliment to myself, Southey and Wordsworth, of which we all of us feel the kindness. I have this moment received a letter from Mrs. Coleridge with these words: " N.B. We observe a different name in The Courier. Are you sure that the new proprietor knows upon what terms? Should you not ascertain this lest it should be charged hereafter? I am very anxious." Be so good as to let me know whether Mrs. C's. anxiety has any foundation? Poor woman! she is sadly out of heart in consequence of Mr. Josiah Wedgewood having withdrawn his share of the annuity settled on me. . . .I feel my mind rather lightened, and am glad that I can now enjoy the sensation of sincere gratitude towards him for the past, and most unfeigned esteem and affection with out the weight that every year seemed to accumulate upon it.